What is a Learning Need? The first step in the CPD process is to identify your learning needs (also known as learning objectives). A learning need is the gap between the skills and knowledge you currently have (your competence) and the skills and knowledge you could or should have with respect to your context of practice. Identifying learning needs will help you develop strategies that reduce this gap, maintain your competence and improve your practice. Identifying and writing down your learning needs is the first part of developing a learning plan; it will also make selecting education easier. Learning Needs, Goals, Objectives or Knowledge Gaps? Many different terms are used when talking about learning needs. 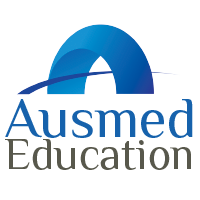 Ausmed uses and recommends the term 'learning need', in line with the terminology used in the NMBA CPD Standard. According to the Standard, nurses are required to demonstrate that they haveidentified and prioritised their learning needs, based on an evaluation of their practice against the relevant competency or professional practice standards. Specific - is it clear and precise? Measurable - can you measure your progress effectively? Achievable - is it realistic? Relevant - does it relate to your context of practice? Timely - have you defined a timeframe for completion? Ausmed offers a free online CPD portfolio designed to support nurses and midwives with the development and tracking of their CPD hours or CE points. The CPD Organiser contains a handy tool which helps you to write, manage and update your learning needs throughout the year. Here are some examples of learning needs that have been written using the SMART method. These learning needs relate to the nursing and midwifery professions. To update my knowledge of wound dressings for venous ulcers over the next 30 days. To be able to competently perform and interpret a 12 lead ECG within 60 days. To better understand safety around chemotherapy before I start on the oncology ward this January. Here is a list of action words and phrases to assist you in writing down your learning needs.